One child was murdered every eight hours in Venezuela last year, according to a report published the Venezuelan Observatory of Violence (OVV) on Wednesday. “Data indicate that 76 children up to 4 years of age have been killed. Not even their young age or condition of vulnerability has stopped the criminal activity,” the NGO’s report read. 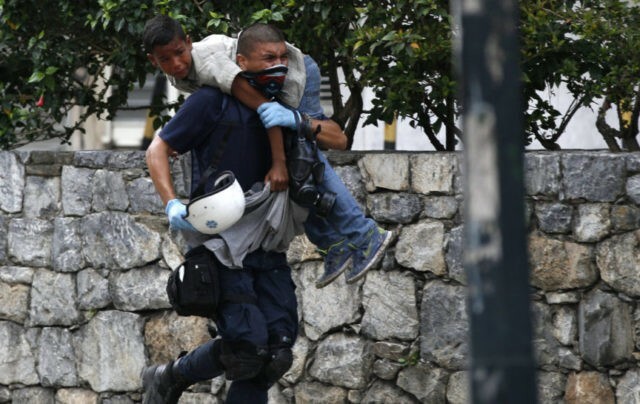 The report also found that 108 children and adolescents died in cases of alleged “resistance to authority,” a reminder of the brutality used by socialist dictator Nicolás Maduro’s security forces during violent protests that rocked the country in the first half of last year. Instead, the authors said causes for the minor reduction may include the huge migratory exodus that has seen thousands of people flee the country every day, as well as a security crackdown as the regime attempts to crack down on political dissidents. The figures provide further evidence of the devastating cost of Venezuela’s economic meltdown on children across the country, many of whom are now considered malnourished and in need of humanitarian aid. Shocking reports from inside the country have involved people becoming cannibals or teenage girls turning to prostitution to afford food to eat. As such, the report notes that homicide is far from the only issue costing young people their lives. “Poverty, inflation, severe lack of supply and control of food distribution and sales have greatly affected children and adolescents, with painful and irreparable results, such as death from malnutrition or illness, severe cases of malnutrition, loss of size and weight in considerable numbers of the population,” the report states. “The presence of children and young people looking for food in the trash, separation because the parents can not keep them and the increase of cases of parents who immigrate, leaving the children alone or with relatives, concretizes situations of family disintegration, abandonment, and deterioration of the quality of life of children,” it continues.